SimiSodaPop | A Refreshment Of Bubbly Gossip! 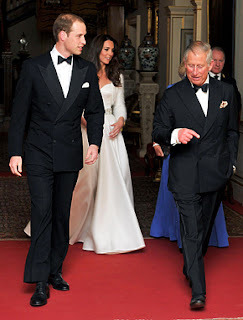 | Beauty, Fashion, Food and Entertainment: See Kate Middleton's Gorgeous Second Dress! PICTURES INCLUDED! See Kate Middleton's Gorgeous Second Dress! PICTURES INCLUDED! Burton called designing Middleton's dress "the experience of a lifetime" and explained that "Alexander McQueen's designs are all about bringing contrasts together to create startling and beautiful clothes." The clothier added: "The last few months have been very exciting and an incredible experience for my team and I as we have worked closely with Catherine to create this dress under conditions of the strictest secrecy." Commemorate Will & Kate’s big day with Us Magazine's Collectors Edition: Royal Wedding with all the photos, anecdotes and details of the wedding. Available for pre-order now and on sale May 6.